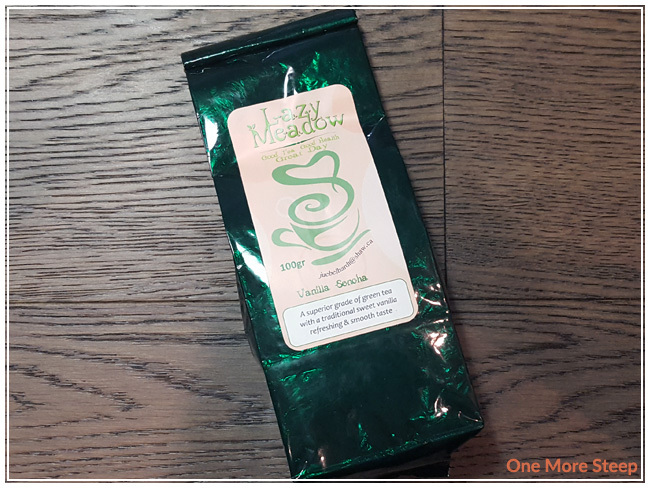 A second tea that I purchase last summer at the PNE from Lazy Meadow (the first being Japanese Treasure, which I reviewed earlier this month). Vanilla Sencha came in similar packaging – simple folded top-bag with a label on the front with some information about the tea. This tea smells richly of vanilla bean, which I love. Vanilla always makes me think of baked goods (especially cake! ), so I was quite drawn to this tea when I first smelled it last summer, and I’m still quite drawn to it now. The green tea base is overwhelmed by the vanilla. There is no ingredients list on the label, unfortunately, but based on my best guess I would say that Vanilla Sencha consists of sencha green tea and vanilla flavouring. My nose isn’t that adept to determine if it’s artificial or natural flavouring, unfortunately. I steeped Vanilla Sencha using the green tea setting on my Breville IQ Kettle – 175°F (79°C) for an initial steep of 2 minutes. 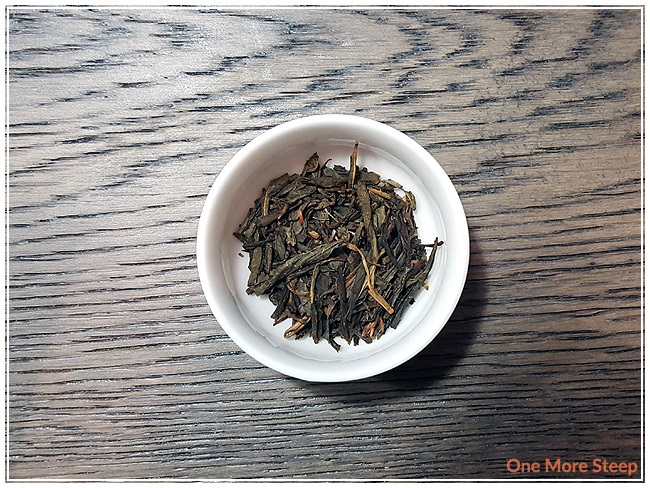 Vanilla Sencha steeps to a beautiful light orange, the aroma from the tea is mostly that of vanilla. It reminds me of baking in the winter (mostly because that’s when I do most of my baking…). The tea itself has a sweetness to it, which I’m attributing to the vanilla, with a very light grassy flavour to it. There’s a touch of umami to it, just a bit of a saltiness that reminds me of seaweed snacks. Overall though, the flavour lends itself to be on the sweet side, due to the flavour of the vanilla. 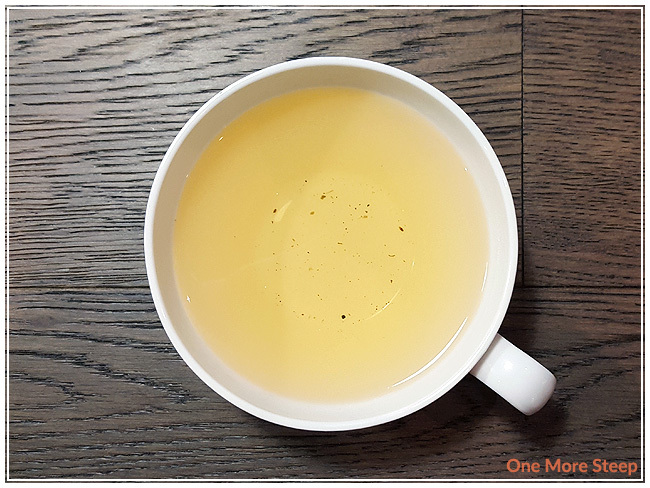 I resteeped Vanilla Sencha once, and found the flavour to be primarily that of the sencha green tea base itself. Unfortunately, the vanilla flavouring and sweetness was lacking in the second steep. I would say that Vanilla Sencha is good for just one steep. I thought that Lazy Meadow’s Vanilla Sencha was just okay. 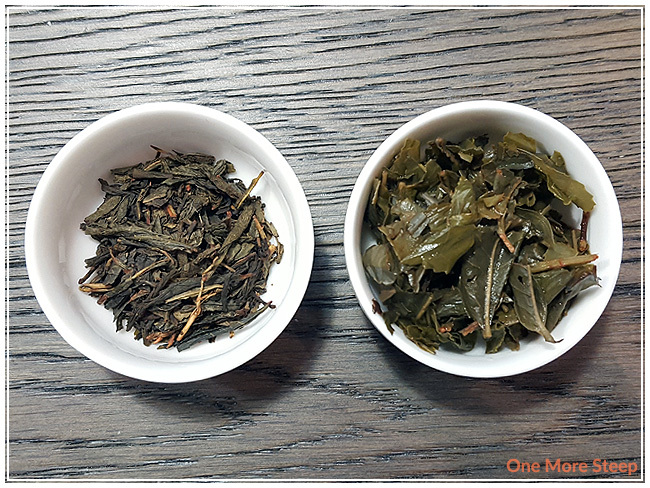 While the aroma of the dry leaf was very inviting, I did enjoy the first steep because of the vanilla notes. 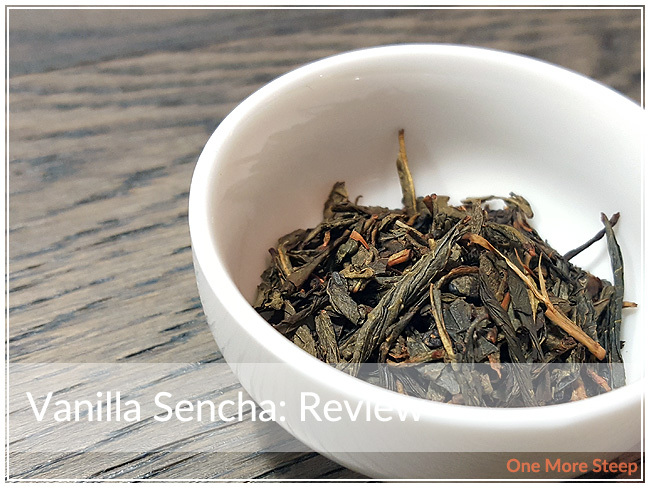 Once the vanilla flavouring was all gone, I found the sencha base to be lacking in flavour in comparison to the first steep – especially considering how much I enjoyed the vanilla smell and taste in this green tea blend. I think it’d be a good afternoon tea candidate, since the vanilla notes would play off of the smell of vanilla in the cupcakes and cookies.